This site is the official English-language website of the Patriarchal Parishes of the Russian Orthodox Church in the United States of America. It is published with the Blessing of His Grace John, Bishop of Naro-Fominsk, Administrator of the Patriarchal Parishes in the USA. 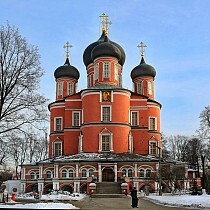 This website was published in April 2014 as a supplement to the Official Russian-language website of the Patriarchal Parishes established in the early 2000's. The goal of this website is to allow those inside and outside the Patriarchal Parishes to learn more about our the services of our archpastor, the parishes and the Orthodox faith. If you have any questions about the website, or would like to suggest a new feature, please contact the webmaster.